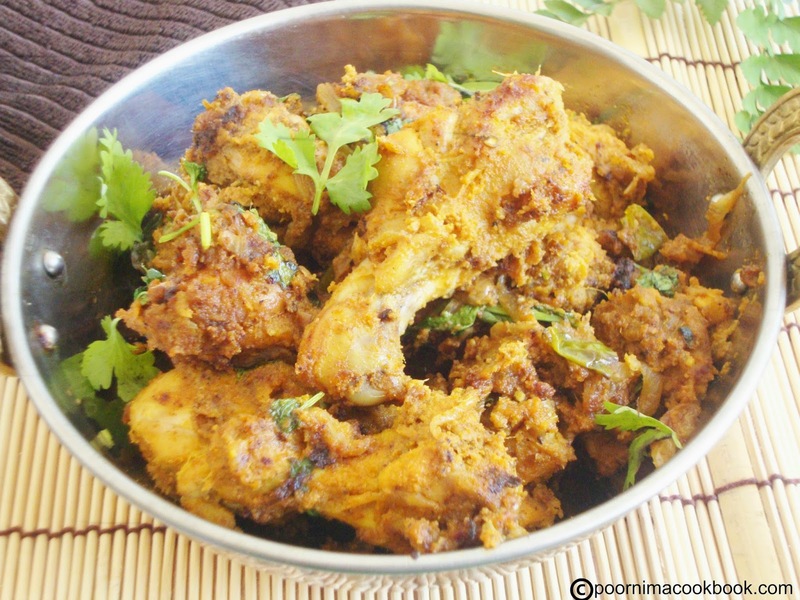 Try this lip smacking, Tamilnadu style spicy chicken fry. This preparation is favorite of our family. Don't forget to check my other chicken recipes! 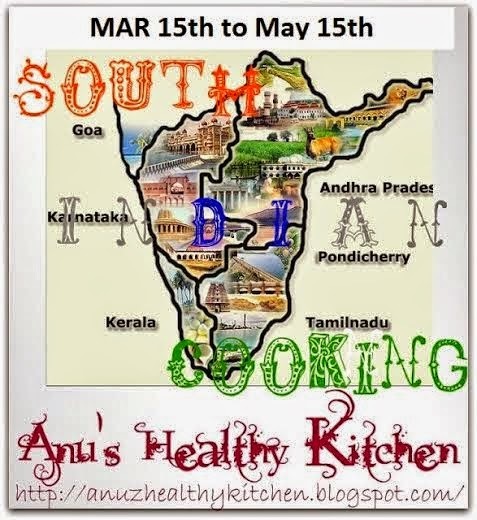 Grind the saunf and grated coconut with water to a fine paste; keep aside. Marinate the chicken with turmeric powder, red chilli powder, corriander powder, coconut paste and ginger garlic paste; keep aside. 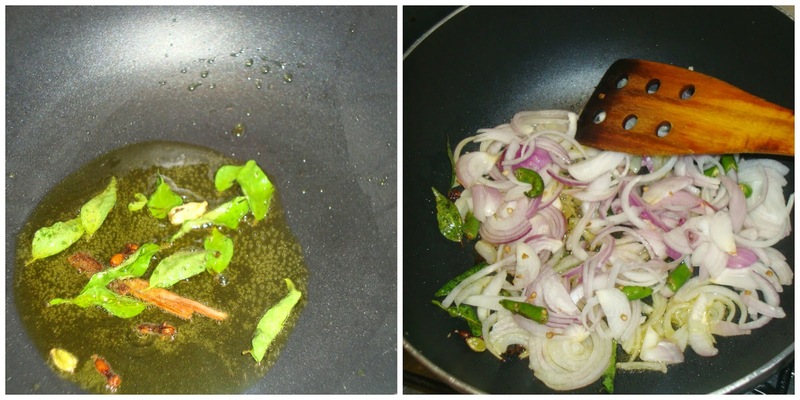 Heat oil in a kadai; add cinnamon, cloves, cardamom and curry leaves . 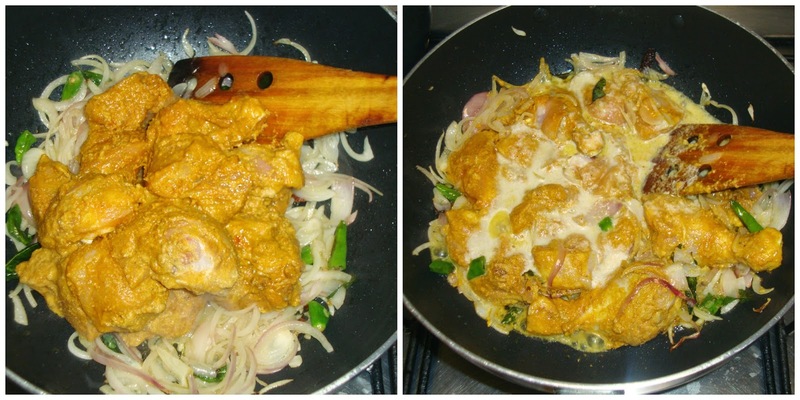 After it crackles, add the finely chopped onions and green chillies. Saute till the colour changes. Now add the marinated chicken; mix well. Add little water, if it sticks to the pan. Close the pan with a lid and cook for 5 to 10 minutes. 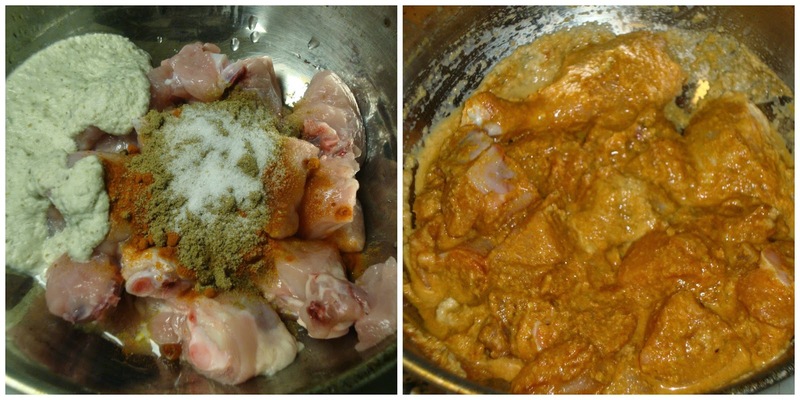 Once the chicken becomes soft and the mixture becomes thick in consistency, add the pepper powder and mix well. 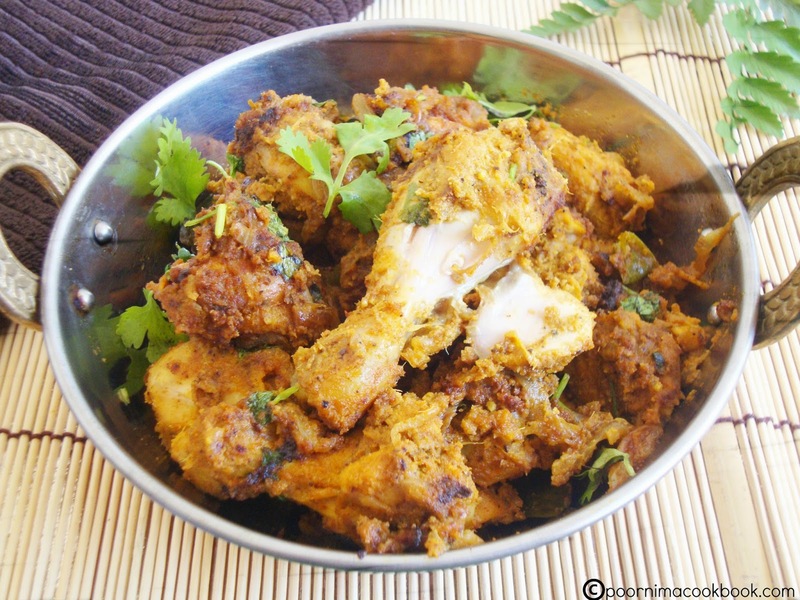 Serve hot with steamed rice paired with Chicken curry or rasam; even you can have this spicy chicken fry as a starter. You can also add ½ tomato to this recipe. 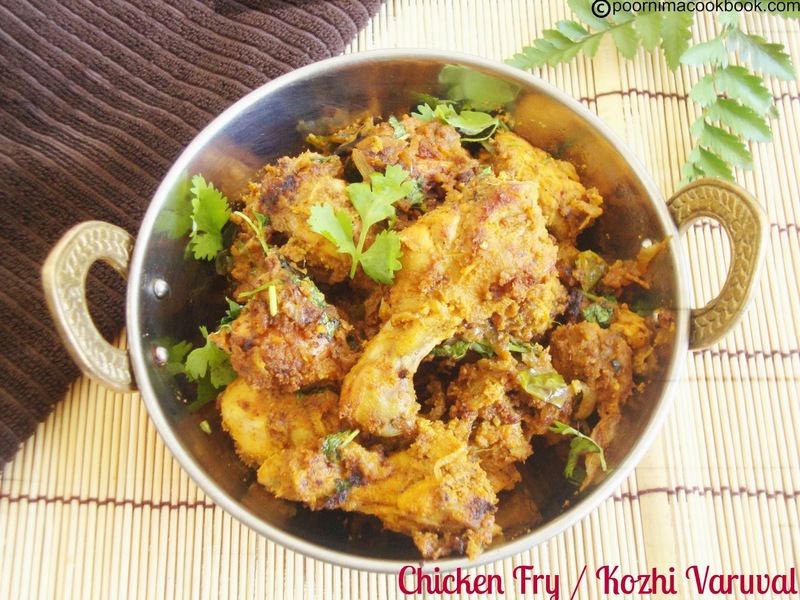 Easy to make tasty chicken varuval. I can imagine how really it tastes. Delicious chicken preparation. My mouth is just watering here, sooo delicious chicken fry. Perfect fry for sambar rice. looking so good. 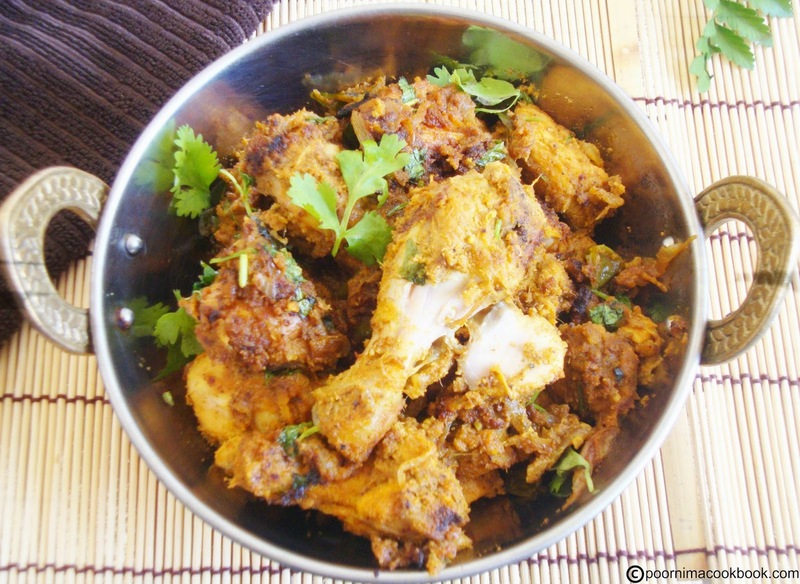 Yummy chicken varuval, perfect to go with sambar sadham! I was looking for a dry chicken recipe and this is exactly what I needed. It looks perfect!